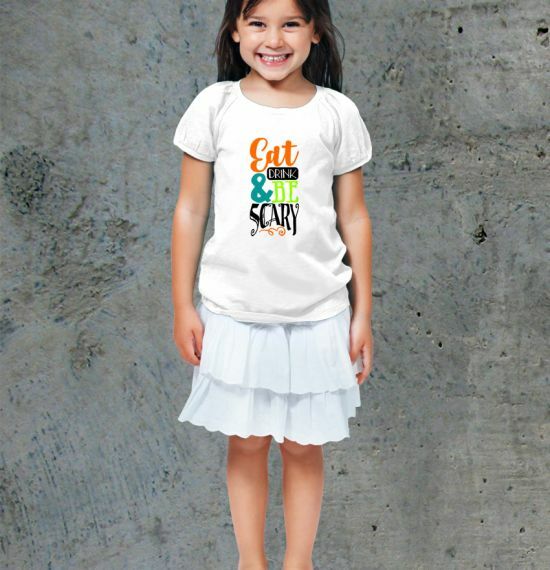 This special Halloween kid’s shirt comes in a couple unique varieties. The Creepy Eyes Youth Shirt can be displayed with the eyes set up with either glow in the dark or bright gold foil vinyl. 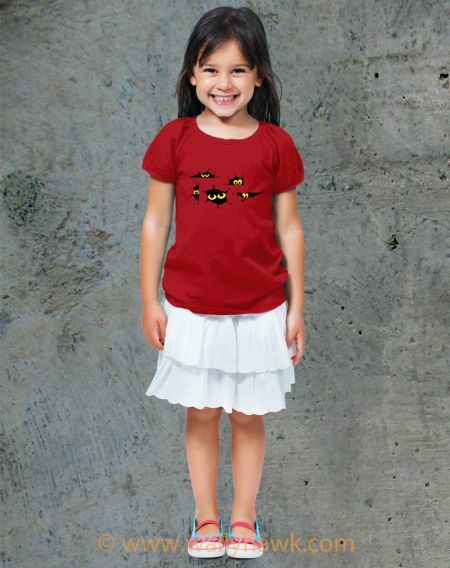 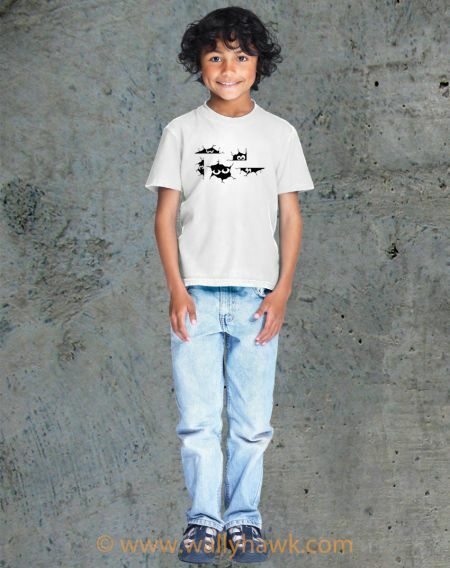 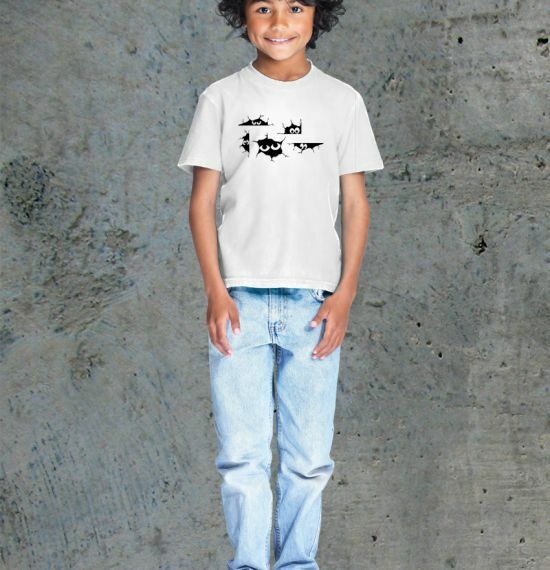 Get yourself ready for Halloween on October 31st with this unique Halloween children’s shirt. 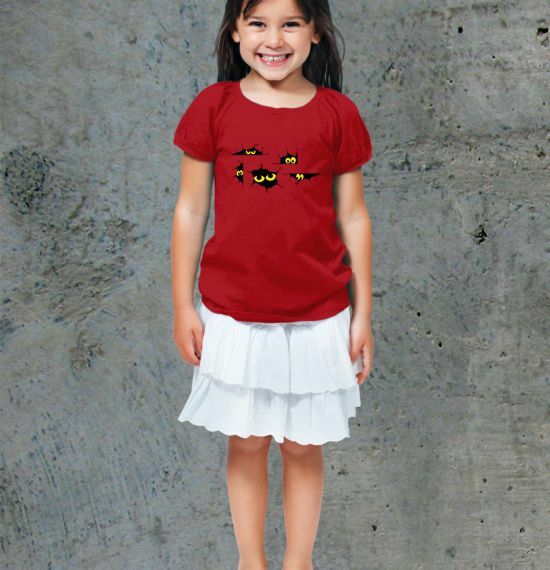 Grab this comfortable Halloween t-shirt exclusively from WallyHawk! 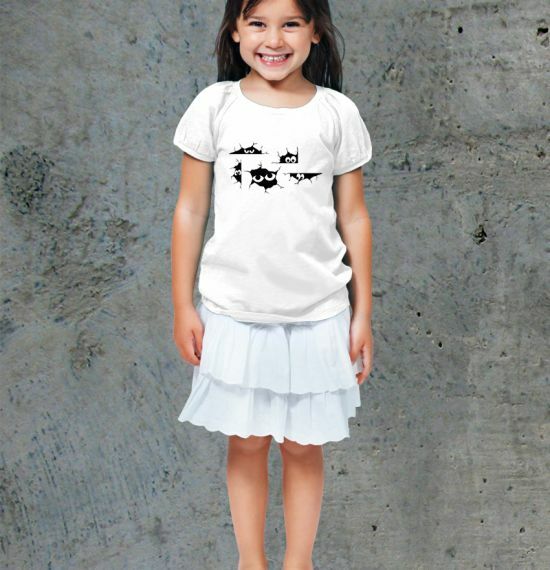 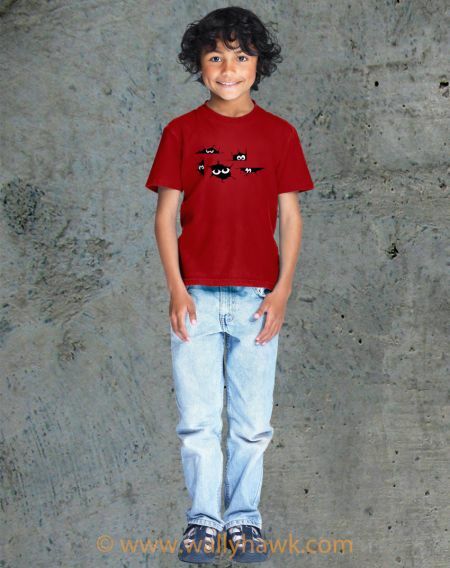 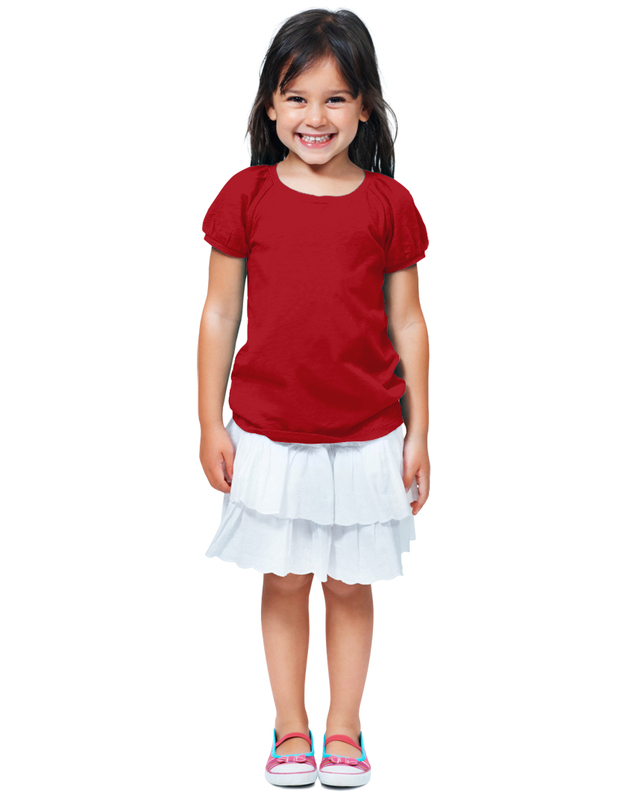 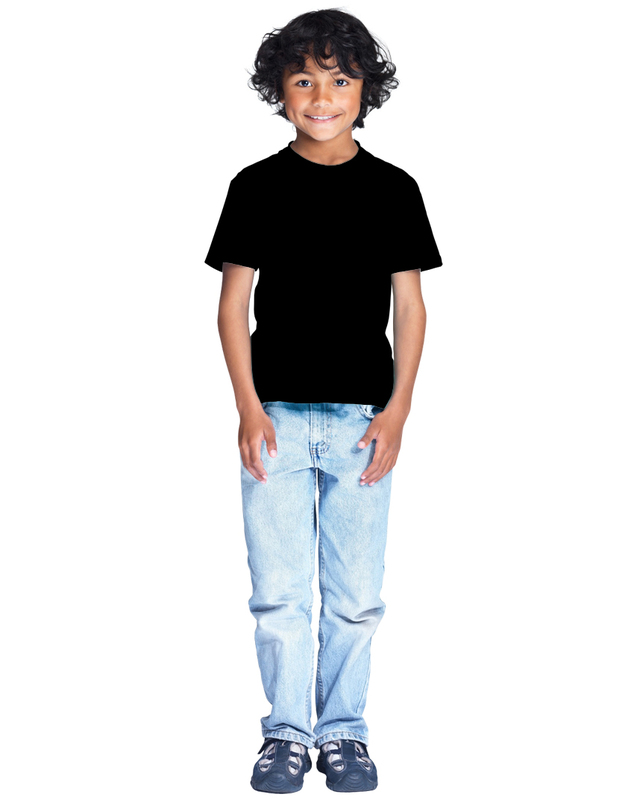 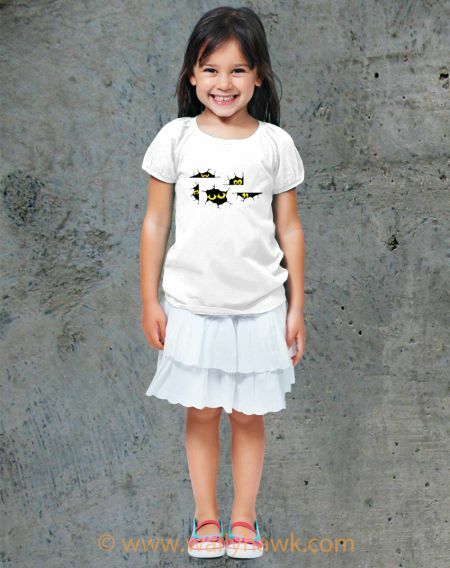 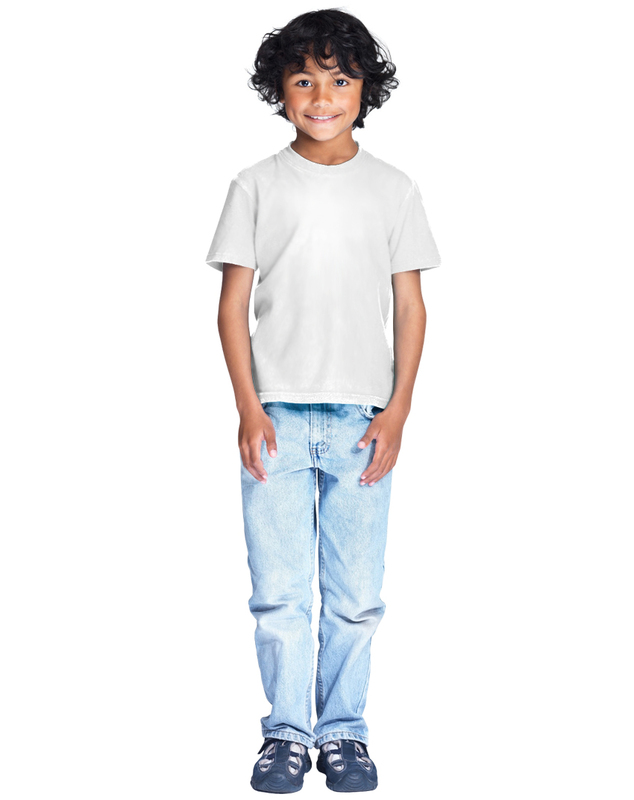 The Creepy Eyes Kids Shirt is 100% ring spun combed cotton, rib set in collar, double needle hem sleeve & bottom. 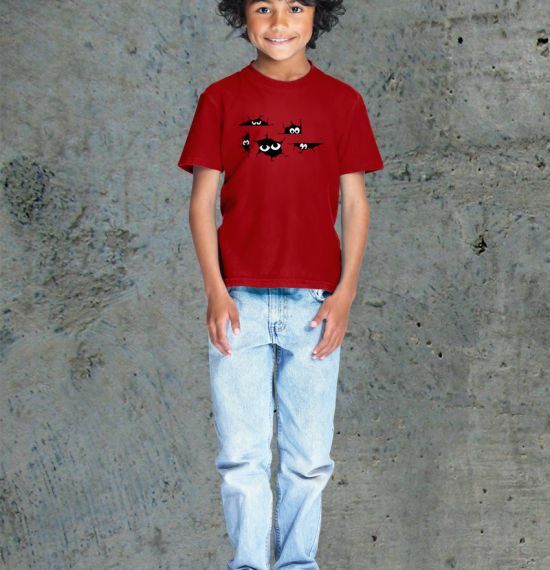 The design is done in pressed vinyl that never fades.